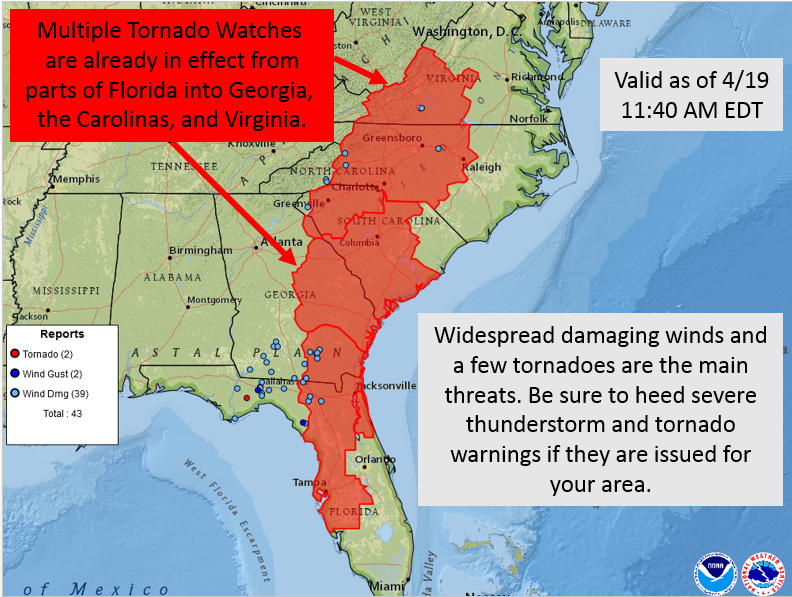 4/19 11:40 AM EDT: Multiple Tornado Watches are already in effect from parts of FL into GA, NC/SC, and VA. Widespread damaging winds and a few tornadoes are the main threats. Be sure to heed severe thunderstorm and tornado warnings if they are issued for your area.